Superdry men's Black Label Edition hoodie. This overhead hoodie from our limited edition Black Label range features a crossover drawstring adjustable hood, super soft lining, a large pouch pocket and ribbed cuffs and hem. 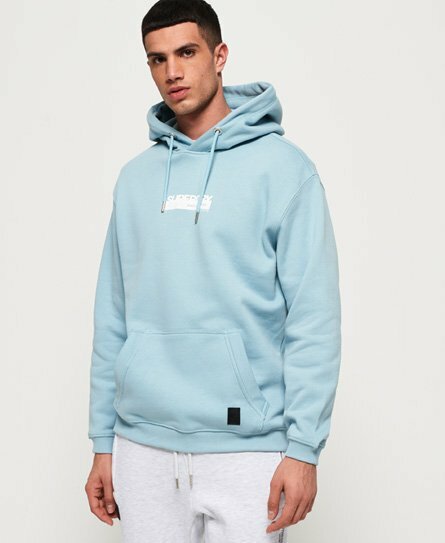 This hoodie also features a textured Superdry logo on the chest and back. Completed with a rubberised Superdry Black Label badge on the pocket. This simple yet stylish hoodie is sure to become a fast favourite.